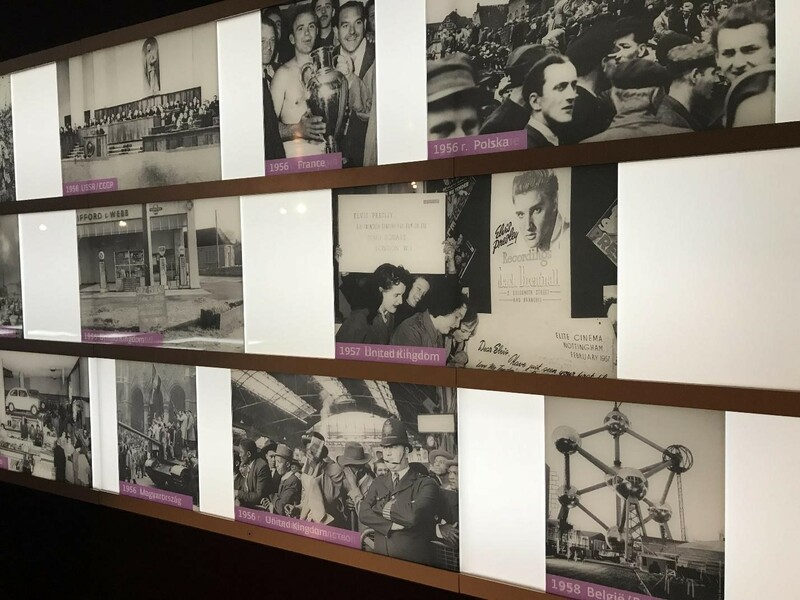 As part of our internship with WYA Europe office in Brussels, we had a chance to visit the exhibition at the European Parliament called “State of Deception: the Power of Nazi Propaganda”. The exhibition examined how the Nazis used propaganda to win voter support in Germany after World War I, implement radical programs under the party’s dictatorship in the 1930s, and justify war and mass murder. The Nazis became the only political party in Germany and controlled public life of all people of Germany. They controlled everything: education, employment, economy. For all forms of opposition, they established Nazi concentration camps where they treated people of opposition the most horrifying and inhumane way. The main idea of the Nazi propaganda and its ideology were Nazism and racism. 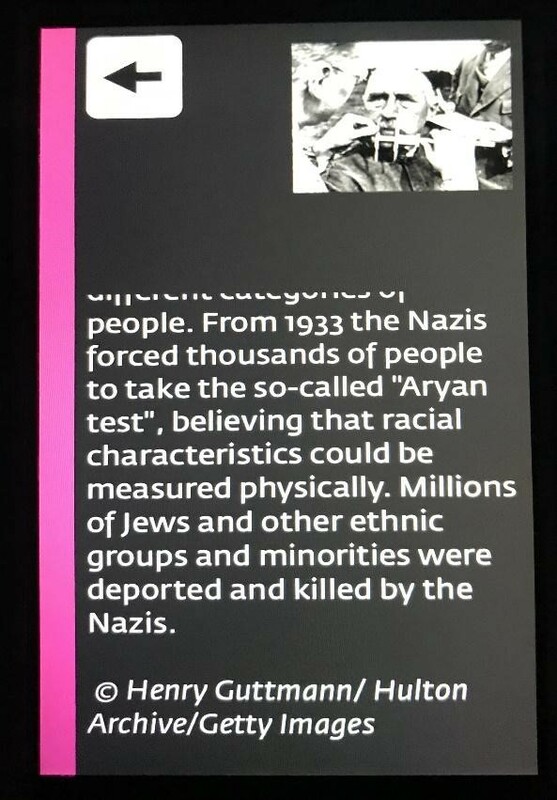 Hitler and the Nazis believed in racial “purity” and in the superiority of the “Germanic race”—what they called Aryan “master race.” When they became the only political party and came to the power in 1933 under its leader Adolf Hitler, they had implemented their ideology in practice through the “Aryan test”. Millions of Jews and other ethnic groups and minorities were deported and killed by the Nazis. This exhibition made us realize why the issue of propaganda matters and challenged citizens to actively question, analyze, and seek the truth. H.H. the Dalai Lama said “…We are truly a global family. What happens in one part of the world may affect us all. This, of course, is not only true of the negative things that happen, but is equally valid for the positive developments.” (Certified Training Program(CTP), Chapter 4, Solidarity). 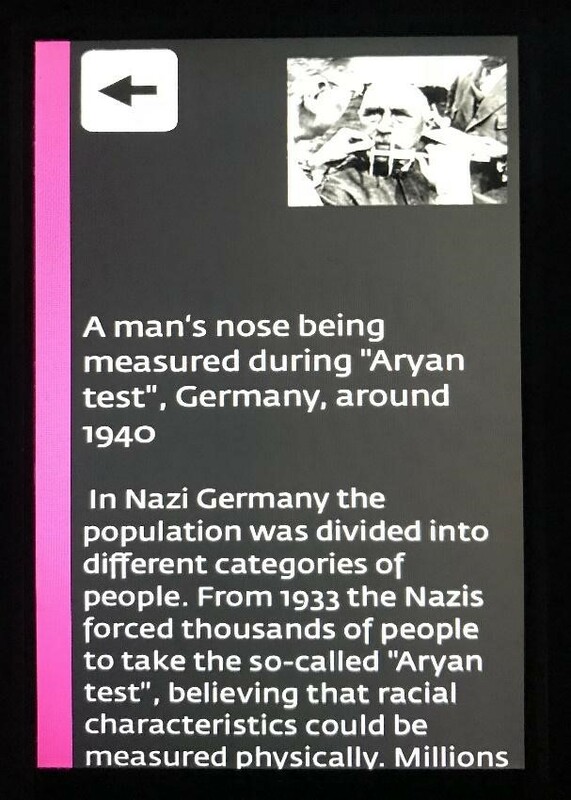 What Nazi Germany did influenced the whole world. The war began. It brought with it not only fear, destruction, death and chaos, but also taught us all solidarity. We, as never before, united and defended the dignity of a person, that each life is valuable regardless of race, nationality, gender, religion and country. Because, as we know and as Mahatma Gandhi emphasised during his speech at Tanjore, “There is no such thing as inherited or acquired superiority. All men are born equal. All – whether born in India or in England or America or in any circumstances whatsoever – have the same soul as any other.” (CTP, Chapter 3, Freedom). During the exhibition, we also witnessed positive developments after the end of the Nazi propaganda happening at the same time, but in different countries. Yuri Gagarin was the first man to fly in space on April 12, 1961. This achievement made a great contribution into space exploration. The Gagarin family also suffered during Nazi occupation in World War II in November 1941. 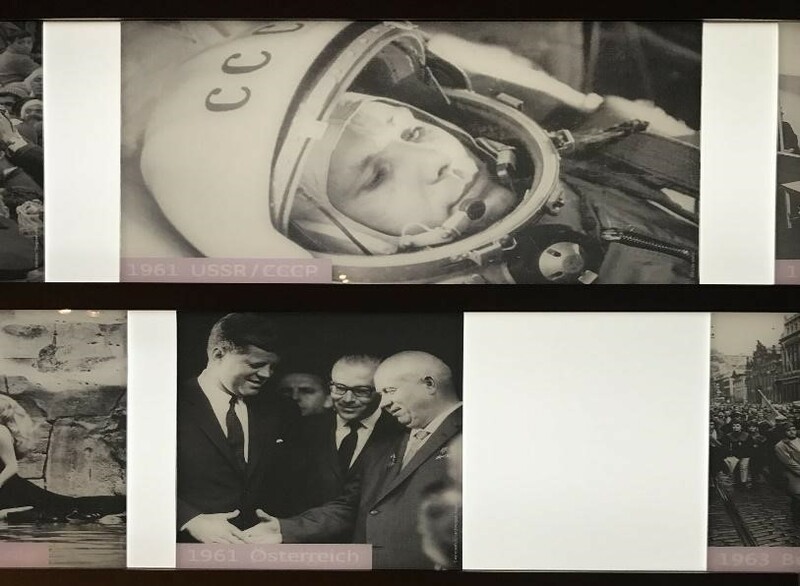 President John F. Kennedy of the United States and Premier Nikita Khrushchev of the Soviet Union first met at the Vienna Summit in June 1961 to discuss numerous issues in the relationship between their countries. Every achievement anywhere in the world has affected the development of all countries. During the exhibition, reading horrifying stories happening with people during the Nazi propaganda and occupation made me feel broken. I was afraid to imagine this all. I never felt myself so helpless and lost for those who suffered from the Nazis. My heart was aching for all these people who lived in constant fear of the Nazi Germany attacks. The past cannot be changed. But our present and future are in our hands. Now we, as never before, are defending dignity of every human person and equality for all people. “ … Because we all share this small planet Earth, we have to learn to live in harmony and peace with each other and with nature. That is not just a dream, but a necessity,” – H.H. the Dalai Lama (CTP, Chapter 4, Solidarity).